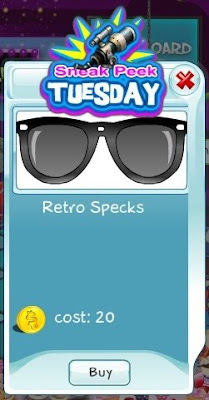 Today we are offering you a preview of those awesome Retro Specks. That's the kind that was very popular in the 80's. Even Michael Jackson and Madonna wore them! Get a pair and be retro cool! This is just a sneak peek, so you have until end of day to buy them. They wouldn't be officially released until a month from now!